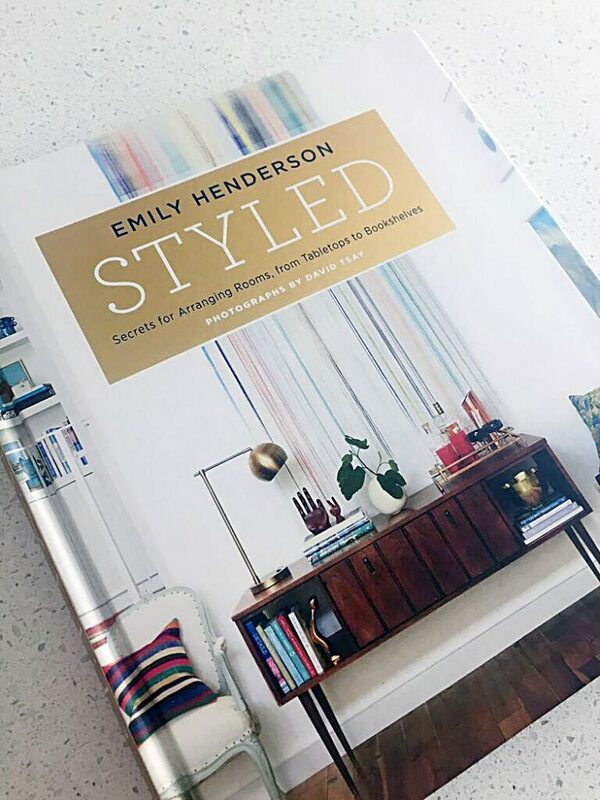 My interior design mentors have all espoused the necessity of building a strong design library, and over the past few years, I’ve been making a conscious effort to invest in growing my personal design library with books by my favorite designers. I especially love when I can support a designer, like Emily Henderson who contributes so much free content that is consistently inspiring and educational. So, I did not hesitate to pre-order her very first book Styled by Emily Henderson. When it comes to interior design, I think that styling is my weak spot. I find it overwhelming. In my own, house, I feel like I have a lot of stuff that I’ve held onto over the years and none of it looks particularly great, and I don’t tend to spend money on the decorative objects that can really pull a space together. My only real collection is a growing number of vintage ceramic planters in various shades of green, yellow and white. Obviously, I need help in this area, and I eagerly anticipated this book as a sort of guide or text that I could reference. After the introduction, the book starts with a style quiz. I got an 82 on the second half of the 20 questions, which put me at bohemian. I do like bohemian style, but I also enjoy Scandinavian interiors. Emily accounts for this with her Style Wheel, which is designed to help you mix and match styles, much like she used to do on her show Secrets of a Stylist. 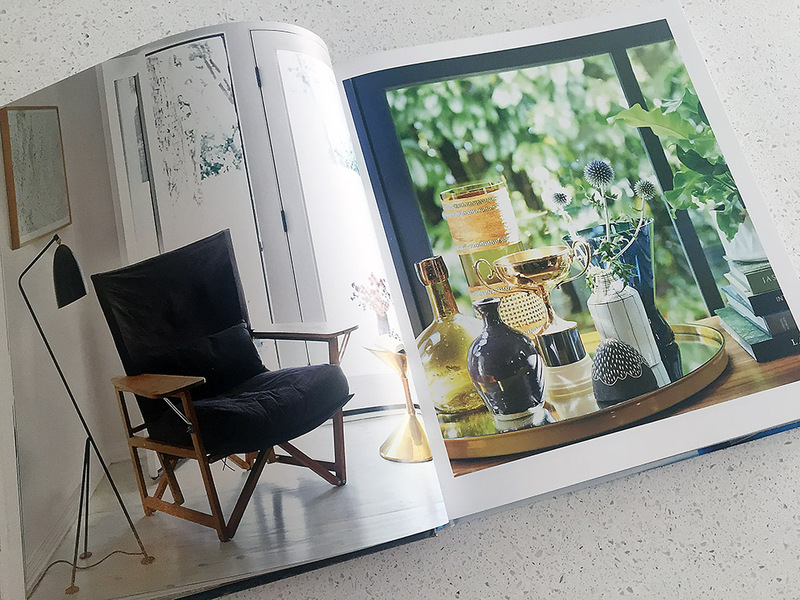 The following chapters explain some of the basics of styling before laying out ten easy steps for styling your space. I found this section to be incredibly helpful and very actionable. The second half of the book walks through room by room with tons of gorgeous photography of both entire rooms and detailed vignettes. Many of the photos are accompanied by helpful tips and explanations. In summary, Styled is way more than your typical coffee table book. It’s exactly what I was looking for as a go-to source for helping me learn how to style both my own home and my clients. I keep it on the end table by my spot in the living room and frequently pick it up to read through the texts and study the photos. Since I received the book last month, I’ve already been inspired to work with what I have and I’ve experimented with my bookcases and other little vignettes in my home. If you’re interested in how you can better arrange your collections and stuff so that your home looks more polished and interesting, rather than cluttered and messy, this is definitely the book to buy. Links in this post may be affiliate links. If you click on them and buy something, I may earn a very tiny bit of money.